Nurettin was born in Bursa in 1873. After graduating from the War Academy, he joined the Turco-Greek War of 1897 as a volunteer. During the Balkan war, he commanded the 9th Infantry Regiment. 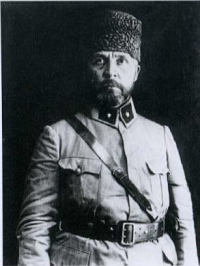 In the World War, Nurettin Pasha was one of the key figures of the Turkish Army in the Mesopotamian campaign. He first commanded the XVII Corps and later assumed the command of the XXV Corps. During the course of war, he was also assigned as the Governor of Izmir and Aydın. After the war, he supported the local resistance groups in Izmir, but the armistice government in Istanbul removed him from the governor’s office, since it was clear that he was going to resist the Greek occupation. 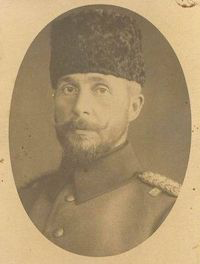 After the opening of the Grand Assembly in Ankara, Nurettin Pasha first tried to act as a mediator between Istanbul and Ankara, but later gave up on this and joined the War of Liberation. He was very successful as the commander of the First Army and he was with Mustafa Kemal when the Turkish troops entered Izmir after liberation. Nurettin Pasha became a member of the parliament in 1924 from the district of Bursa. He died in 1932.